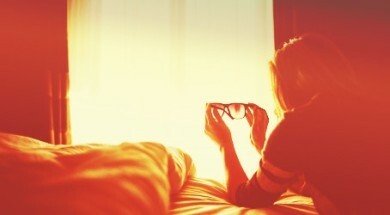 Getting your audience to consume your meaningful content day in and day out is no mean feat. Ensuring that your content is fresh helps you stay ahead of the curve. But how can you do that? How can you get more people to find your content worthy of their time without investing a significant amount of your time? Strengthen SEO – Search engines weigh your content on freshness and engagement. Reach a broader audience – While a fair share of users may prefer visually oriented content, others may like audio or easy-to-read text. Refreshing your content delivery formats allows you to appeal to a wider audience. Let’s consider these eight, less frequently used formats to give your existing content a new look and a new audience, and some tools to help you create them. Turn your typically boring data-driven content into a visually appealing infographic. You can present a complex topic in an easy-to-understand and interesting way. CEO.com repurposed its 2014 Social CEO Report to show how sociability has become a buzzword for Fortune 500 CEOs. This visually interesting infographic was soon picked up and shared by audiences on platforms such as Twitter and Facebook. Remember, infographics don’t necessarily have to be complex or hard to design. You can take a simple piece of content, highlight its key points, and add your data to a templated format. By turning your blog posts or articles into interesting slide decks, you can present your content in small chunks of text with images in a visually appealing format. SlideShare, which is owned by LinkedIn, also reports that it’s one of the 150 most highly trafficked sites on the web with 60 million visitors and 3 billion slide views every month. 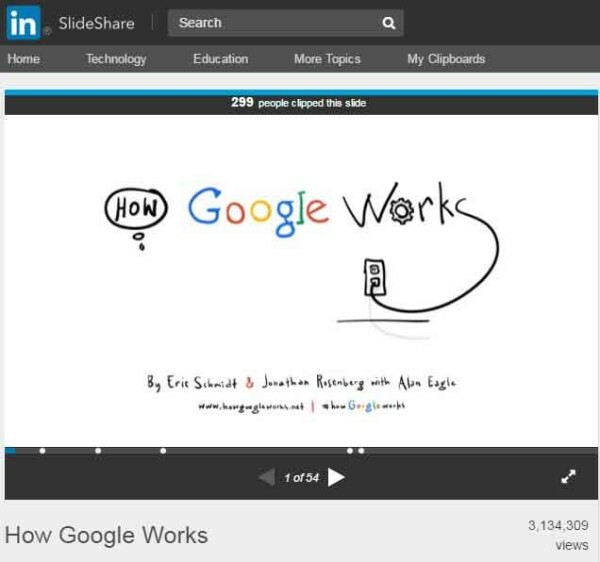 Be inspired by this great example of a SlideShare presentation by former Google CEO Eric Schmidt. Titled How Google Works, this presentation, which has been viewed over 3.3 million times, gives a peek behind the scenes of the search engine giant. Eight of the top 10 most-shared articles over an eight-month period were quizzes, according to research done by BuzzSumo and shared in Huffington Post. If you’re looking to boost your customer engagement and drive more traffic, turn your blog posts into exciting quizzes. Still not sure? Consider that quizzes have a 78% completion rate and an 82% click-to-conversion rate, according to Penguin Strategies. Online quizzes also are more likely to travel a viral loop as quiz takers share their results with their friends on social media. Consider this example from travel site Orbitz. Its creator, ion interactive, details how users provide their email address to receive the quiz results. Orbitz then provides a personalized summary on the perfect travel match, offers its contact information, and includes social-sharing options. Apps such as Periscope and Meerkat make it easier to distribute your content in a broadcast-like experience. You can talk about the topics about which you have written and grab the attention of your audience quickly. Keep in mind that 37% of American viewers use streaming services. You’ll love live streaming which allows you to talk about the topics you already know so much about and get different views of your audiences almost immediately. You also instantly get to know how many people have viewed and liked your content. Once your live stream is finished, you can make it available for 24 hours before it disappears. Don’t worry, you also have the option to save the video even longer. General Electric uses Periscope to further its content marketing by educating consumers on GE’s capabilities. Last summer, DigiDay reported about how GE took to Periscope for #DroneWeek, featuring a drone’s view of its work – wind turbines, jet engines, locomotives, etc. People love stories, especially the ones that leverage anticipation. Break your content into a video story that progresses along a gripping plot. The Crossroads series produced by Coca-Cola Latin America is a brilliant example of how episodic content catches the world’s fancy. Coca-Cola produced three short films designed to encourage teens to stand up for their friends in challenging times. 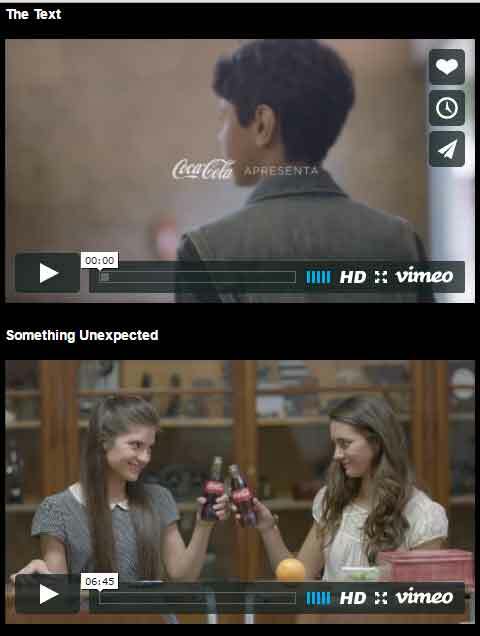 Telling three teen-focused stories about potentially life-changing situations, Coca-Cola successfully built suspense and interest among its audiences and greatly increased its web traffic. Similar to infographics, instructographics provide information in a set of steps. For instance, an infographic shows you the most popular room colors, an instructographic tells you how to paint your room. Think about what content you have or could create that would be best communicated by showing the various steps. Present your content in a game format. People love to play games. What better way to promote your content than presenting it to your target audiences in a gaming context! Gamification can lead to a 100 to 150% increase in engagement, according to M2 Research. 87% of retailers plan to use gamification to engage customers within the next five years. It isn’t difficult to understand why big brands trust gamification when it comes to engaging consumers and driving customers. In fact, industry experts believe that gamification can increases conversions seven times. The U.S. Army uses games to attract new recruits and promote general awareness of the U.S. armed forces. It created America’s Army in 2002 and spun the game into a live event opportunity with the traveling Virtual Army Experience game transporters. A podcast doesn’t have to be much more than recording someone vocalizing your content. While you can create original content for podcasts, you also can repurpose your old content by reworking it to be in a more conversational language. The craze for podcasts is increasing amongst the audience day by day, with many signing up to access podcasts each and every day. Consider that one-third of Americans have listened to a podcast at some point and 17% report listening to a podcast in the last month, according to the Pew Research Center. Besides being engaging, it is cost effective. If you’re still apprehensive, check out Copyblogger FM. So, there you have it – eight ways to breathe new life into your aging content or take a fresh perspective with your new content. Remember that taking a different approach to formatting your content is all about adding value for your audience. I’d love to read your thoughts and suggestions in the comment section. Daniel is Digital Marketer at TruConversion.com Experience with both startups and enterprise clients have given him unique perspective and ability to connect the dots for brands of all sizes. He loves writing on content strategy, marketing, and optimization initiatives.